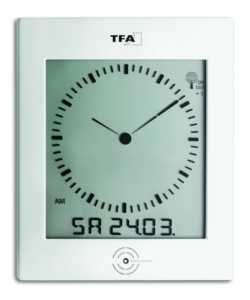 The large, clearly arranged display make this radio-controlled clock from TFA Dostmann stand out. 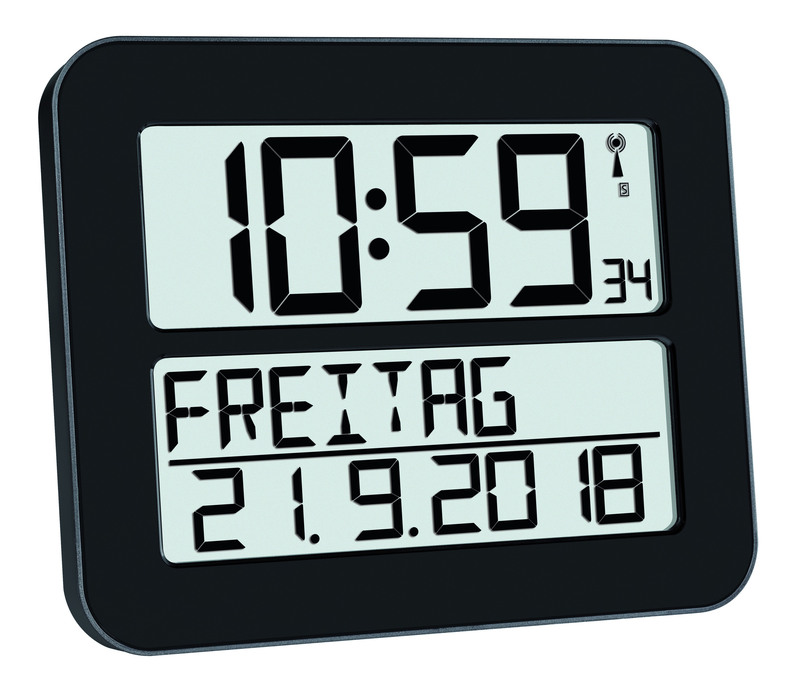 The "TIMELINE MAX" is easy to read from a distance and it’s particularly suitable for the entrance or reception area, the waiting room and the office. 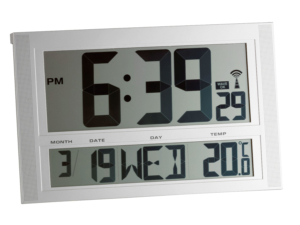 The clear layout of this radio-controlled clock makes time management easy. 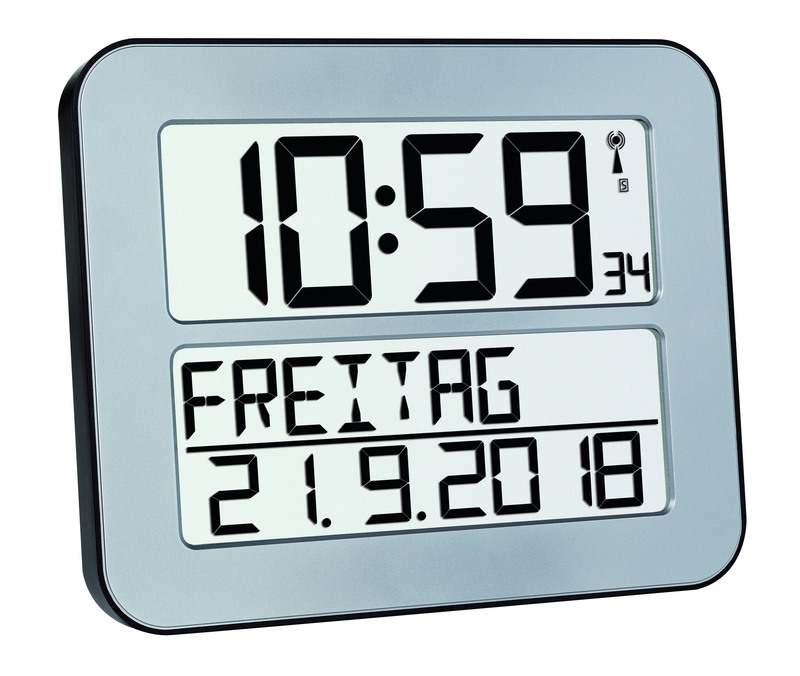 Due to the weekday being written in full and the complete date displayed, the "TIMELINE MAX" is also the ideal everyday help for the elderly, as well as Alzheimer’s and dementia patients. 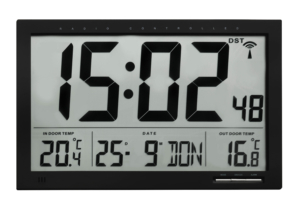 The radio- controlled clock receives the time via the DCF 77 signal. 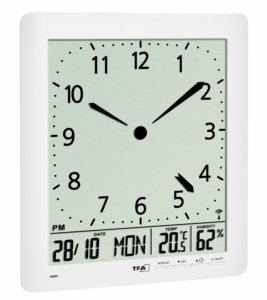 This will always give you the current time to the exact second and the date will appear without the need for setting. 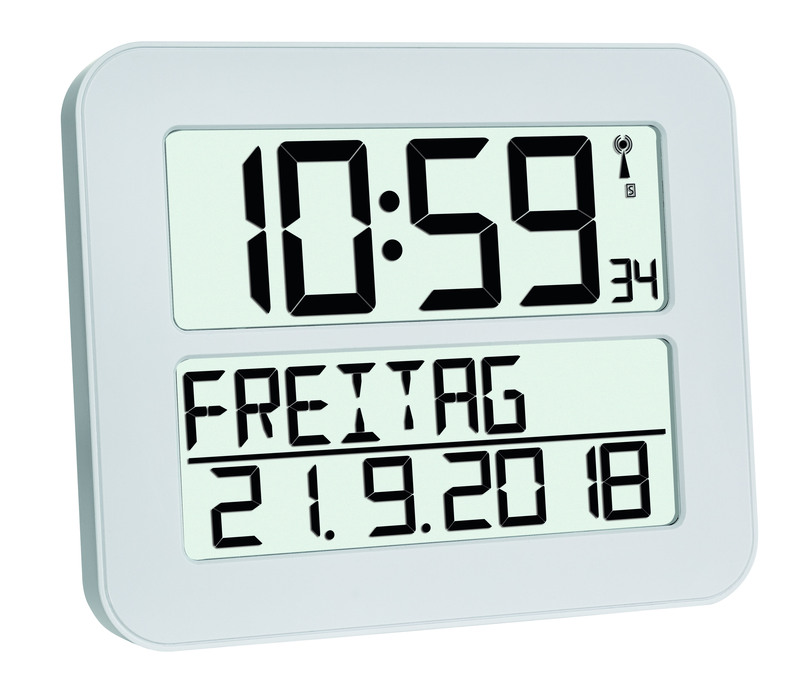 The changeover from summer to wintertime is also automatic. 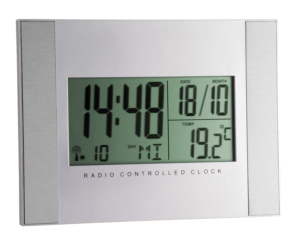 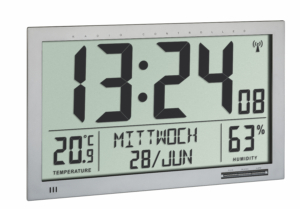 The simple and clear design of this radio-controlled clock fits in any environment, whether you prefer it hung or free-standing.